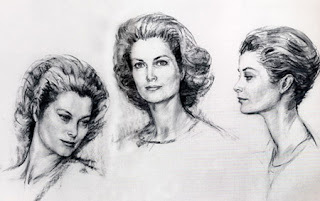 Jeanne Grimaldi was the sister of HSH Prince Honore II of Monaco. Born in 1596, one of three children, to Lord Hercules I of Monaco and Maria Landi. Her brother Honore was born the following year but their lives were soon disrupted in a violent way by the assassination of Lord Hercules on November 23, 1604. It was only the latest tragedy for the Grimaldi family as their mother, Lady Maria Landi of Valdetare, had died giving birth to her third child, a daughter. Now, the palace was under attack and all their lives were threatened. Jeanne and Honore were hid by the family servants when the attack came and later the children were taken into the care of their uncle Federico Prince of Valdetare. After securing his position as regent Valdetare escorted Jeanne and Honore into exile in Milan where they would be safe until the situation in Monaco could be stabilized. 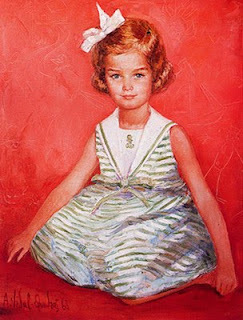 Jeanne had a good life during his formative years in Milan and was given the best education available and proved herself a very adept student. Her studies peaked her interest in the arts and literature. On October 10, 1615 she was married to Theodore Trivulce, who had held Genoa for the King of France and who later commanded the cavalry of King Philippe III of Spain. 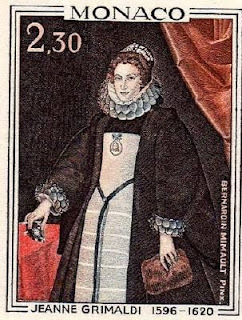 Sadly, Jeanne died in childbirth in 1620 after which her despondent husband entered the Church and later became a cardinal in 1629. "Monaco: Its History, its Princes, its Future" from Monaco Press - A slim little book but filled with great photographs and a lot of good, general information on Monaco. There is a brief history of Monaco, a brief look at the Grimaldi Princely Family, short biographies of Prince Rainier III, Princess Grace and Prince Albert II along with summaries of the major places and cultural events in the national life of Monaco. This could be classified as an introductory work on Monaco in general and is available in French and English versions. "Monaco and Monte Carlo" by Adolphe Smith -an older book, available only in French as far as I know, this work is not perfect; some facts conflict with those in other sources, however it gives a great deal of information not easily found about the earlier years of Grimaldi rule in Monaco, the lives of the princes and cultural trends as well as looking at the role of religion in Monaco and tracing the national history from ancient to modern times ending in the rise of the gambling industry and the efforts to control it. Again, the greatest benefit of this work is the depth of historical information on Monaco and the Grimaldi family that is often hard to find. 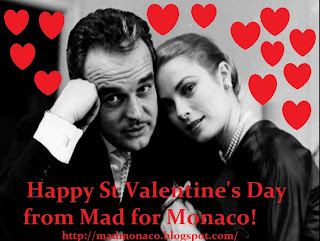 "The Grimaldis of Monaco" by Anne Edwards - One of the better known popular histories of Monaco and the Grimaldi dynasty the book, like most, focuses mainly on the years after the marriage of Prince Rainier III and Princess Grace. However, unlike most, it does give a good, fairly in-depth look at the history of the prior princes, though little information is given on the old Lords of Monaco. Still, there is relatively a great deal on the princes from Honore II onwards. 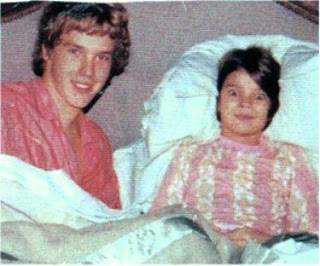 It should also be kept in mind that it is a popular history and tends to try to be sensational regarding family scandals, rumors and so on. "Monaco and its Princes" by Alain Decaux - a favorite of mine, this book gives a good general history of the Princes of Monaco from the time of the first lords of Monaco to the reign of Rainier III. It is not long enough to go into great detail but there are a lot of great illustrations, it is a very nice looking book, and gives a good overall history of Monaco while treating the Monegasque monarchy with respect. It is an easy read, has a lot of good information and is to be recommended for those who want a book that can be read quickly with good pictures to get a grasp of the history of Monaco and its Princes. Finally, stamp enthusiasts will enjoy reading “The Principality of Monaco as Seen Through Its Postage Stamps” by H. Chiavassa from Monaco Post, available in French and English. It is just as the name implies and although the information given on each stamp is brief the issues cover a very wide array of history, events, culture and historical figures and I have found it to be of much greater use than I had originally thought when I bought it. There are also sections about the development of the Monegasque postal system and slightly more lengthy sections on major historical items of interest. A lineage of the Grimadli dynasty and a chronology of Monegasque history is included. It is illustrated but is in black & white. Royal watchers will have spotted HSH Prince Albert II of Monaco at the Winter Olympics. It was the first I had seen of him there, and was really expecting to see more of him. The Sovereign Prince has had a long relationship with the games being a five time Winter Olympian himself in the bobsledding competition as well as being a member of the International Olympic Committee these days. The Sovereign Prince was at the Whistler Medal Plaza where he was given the honor of presenting the medals to the winners of the Alpine skiing Men's Super-G event. So far the United States has a comfortable lead in the overall medal count. The Principality of Monaco has sent athletes to compete in Alpine skiing (Alexandra Coletti), and bobsleigh (Sebastian Gattuso and Patrice Servelle). The Monaco bobsled team came in 18th, while Coletti ranked 24th in the ladies downhill. The Principality of Monaco and Russia have had relations since HSH Prince Charles III of Monaco signed a number of agreements with HIM Czar Alexander II of the Russian Empire. This coincided with the rise in prominence of the casino at Monte Carlo which attracted a large number of Russian aristocracy and members of the Romanov Imperial Family. The Prince and the Czar signed a number of treaties dealing with the law, legal status of Russians in Monaco and the extradition of criminals from Monaco back to Russia. In 1858, when Prince Charles III established the Order of St Charles it was Czar Alexander II who was the first foreign royal to be honored with the decoration. In 1877 a consulate was set up in St Petersburg with Chevalier Jean Plancher appointed by Prince Charles III as the first Monegasque consul to the Russian court. However, these warm relations came to an end with the horrific Bolshevik revolution and Monaco never established diplomatic relations with the Soviet Union. For the communists, Monaco represented everything they abhorred most; a country famous for lavish wealth, vacationing capitalist businessmen and an effectively absolute monarchy with an established religion on top of it all. If anything needed to be done between Monaco and the USSR it was handled through the French embassy in Moscow or the Soviet embassy in Paris. 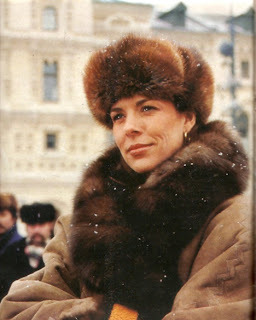 That all changed with the fall of the USSR and the admittance of Monaco into the UN in 1993. Consular relations were established between Monaco and the Russian Federation in July of 1996 and in 2002 HSH Prince Rainier III appointed the first honorary consul of Monaco in St Petersburg. The following year HSH Prince Albert II traveled to Russia to open the consulate. In 2006 Russian President Vladimir Putin began negotiations to establishing full diplomatic relations between Russia and Monaco. On July 11 of that year this milestone was reached when the Russian Ambassador to France, Alexander Avdeyev, was appointed as the first Russian Ambassador to Monaco. Full diplomatic relations were established on April 10, 2007. The Russian ballet has long been popular in Monaco with the Russian ballet of Sergei Diaghilev performing regularly from 1911 to 1929. This was interrupted by the Soviet era but the new era of friendship has brought a number of Russian dance and musical groups to Monaco on tour. Former President and current Prime Minister of Russia Vladimir Putin and Prince Albert II reportedly enjoy a very good relationship and business, trade, tourism and cultural exchanges between Russia and Monaco are strong and only seem set to grow in the future. Although the countries are extremely dissimilar, Monaco and Vietnam do have some things in common and have had ties many may not be familiar with. Both, for quite some time at least, were part of the community of nations under French protection; albeit under very different circumstances. The first major meeting between the Monegasque and Vietnamese nations came about in an unofficial way when, following World War II and the start of the political wars in Indochina, the last Vietnamese Emperor, Bao Dai, came to France and resided mostly on the southern coast. Emperor Bao Dai, like his mother and many others, was very fond of gambling and was often to be seen at the grand casino of Monte Carlo where, it was said, his losses befitted someone of his exalted rank. Did Emperor Bao Dai and Prince Rainier III ever meet? I could not say. One would presume such an illustrious visitor would have met with the Sovereign Prince and yet the Vietnamese Emperor was not visiting in an official capacity and was usually trying to keep a low profile so, perhaps not. 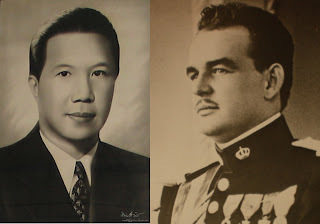 It is also at least within the realm of possibility that Rainier III might have met the former Vietnamese Emperor Duy Tan in Germany where both served with the French army at the end of World War II. In any event, the Emperor was such a loyal patron of the roulette wheel in Monte Carlo that his mother, the Empress-Dowager Tu Cung, reportedly had to sell some family antiques to pay his debts (the Emperor in France later had to do the same for his mother in Vietnam). 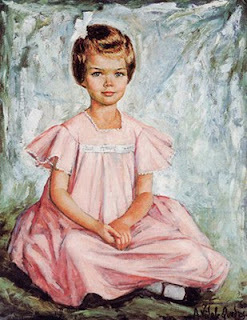 In recent years AMADE, the charitable organization founded by Princess Caroline, has worked with other groups to establish schools in a number of locations around Vietnam, particularly in Ho Chi Minh City, still known as Saigon to most of the world, and once called the “Paris of the Orient” during the days of French colonial rule. The Prince Albert II Foundation has also been at work in Vietnam lately. 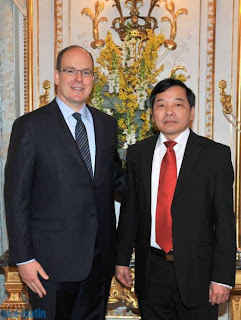 In 2007 the Principality of Monaco and the Socialist Republic of Vietnam established formal diplomatic relations for the first time when Ambassador Extraordinary and Plenipotentiary Le Kinh Tai presented his credentials to HSH Prince Albert II at the Princely Palace on March 5. Monaco and Vietnam have both been members of the community of French-speaking languages since 1970 and Vietnam is the 55th country accredited to the Principality of Monaco. 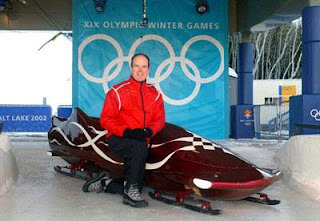 As a past winter olympian and member of the IOC, HSH Prince Albert II is heavily involved in preparations for the 2010 Winter Olympics in Vancouver, British Columbia. On the 7th he attended a curling event at the Port of Monaco (a first?) and while the games are in progress the "Challenge Albert II" sailing competition will also be held by the Nautical Society of Monaco. Jack Kelly, Prince Albert's grandfather, was also an Olympian and won 3 gold medals in rowing. 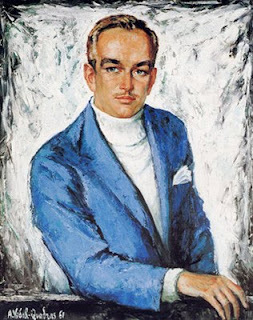 John Kelly, the Prince's uncle, was also dedicated to the sport. Also, on the 5th, the Sovereign Prince met with business leaders from across Europe to discuss ways of including and expanding opportunities for those with intellectual disabilities and how to reach more adults and children across Europe and Central Asia with the Special Olympics. TRH Princess Caroline and Princess Alexandra were out enjoying the winter weather today, on skates and skis. Princess Alexandra is still a newcomer and learning how to skate. The clash that brought about the Grimaldi seizure of Monaco was the longstanding feud in the Italian states between the Guelphs and Ghibellines. This feud lasted throughout most of the Middle Ages and achieved epic proportions. Even the feud between the fictitious families of Romeo and Juliette originated in the clash between the Guelph and Ghibelline factions. As readers of this blog probably know the Grimaldi family originated in the Italian city-state of Genoa and their involvement in the feud came with the clash between the Holy Roman Emperor Frederick II and Pope Innocent IV. Genoa split into Guelph and Ghibelline factions with the Guelphs supporting the Pope and the Ghibellines supporting the Emperor. 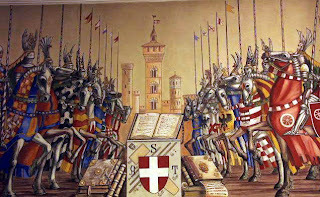 The Grimaldis and the Fieschis were Guelphs but the Ghibellines were victorious and drove them out of Genoa. It all came down to the doctrine that two powers govern the world; the temporal and the spiritual which Innocent III compared to the sun and the moon. The height of temporal power in old Christendom was the Holy Roman Emperor while the highest spiritual authority was the Supreme Pontiff. Both were to work in concert but it was, perhaps, inevitable that they would clash over who was finally supreme of the two. The Popes claimed that, as it was they who were given their authority by Christ himself (in the form of the keys to St Peter) and that Christian teaching stressed that the spirit was greater than the flesh and that it was they who crowned and anointed the emperor the popes were therefore superior. The Emperor, however, viewed himself as the viceroy of God on earth and thought he should confirm papal elections and appoint bishops himself. Did not the authority of the Emperor of Rome predate the authority of the Pope? Naturally, the details that started the split were soon forgotten in favor of more practical rivalries. In large part the nobility supported the Emperor as it was he who granted them their titles and in whose name they finally exercised authority. The merchants and freemen of the Italian city-state republics tended to favor the Pope as he was content to let them govern themselves and did not interfere with their business. The Pope was also one of their own, someone they felt closer to than a distant German monarch. The names for the factions also come from Germany, originating in the rivalry between the House of Welf (Guelph) who were the Dukes of Bavaria and the Imperial House of Hohenstaufen (originally Dukes of Swabia) whose ancestral castle was Waiblingen (Ghibelline) in Franconia. When the Grimaldis first seized the Rock at Monaco it was from a Ghibelline garrison for as Genoa was seized by one side or the other it was usual that the losing party was driven into exile. For aid the Grimaldis turned to Charles of Anjou, comte de Provence, whom they had served in the past and in appreciation he granted them the lands of Ventimiglia, Menton and Roquebrune to make up for their losses in Genoa. They lost when Charles of Anjou had to have the help of Genoa in a conflict with Sicily and as soon as his protection was withdrawn the Genoese pounced and recaptured Monaco. After a period of time the Guelph faction won and the Grimaldis took back Monaco but ten years later the Ghibellines were back. Robert of Anjou finally intervened to end the feud and it was through his mediation that Monaco was permanently returned to the House of Grimaldi and placed under the rule of Lord Charles Grimaldi, son of Rainier I. The Principality of Monaco is the most densely populated country in the world and yet has one of the highest standards of living anywhere across the globe. On the other hand, the most sparsely populated country in the world, the Republic of Mongolia, is in pretty poor shape. A new study looks at why no one should be freaking out about over-population and over-crowding. It does not seem to be bar to prosperity. Personally, I would also point out that Monaco is a stable, strong constitutional monarchy whereas Mongolia is a socialist republic still largely controlled by the old communist party. I am certain that plays a part as well. The last few days have been busy for the Sovereign Prince. 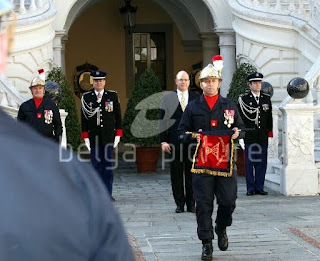 On February 2 in the courtyard of the Princely Palace, HSH Prince Albert II attended the ceremonious change of leadership of the Monegasque fire brigade. Tony Varo took command of the "sapeurs-pompiers" and said becoming commander was a lifelong dream since he became a cadet at age 12 (Varo is now 44). 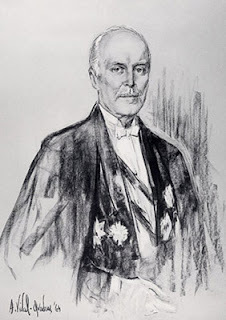 A faithful Monegasque, upon his elevation he was quoted as saying, "I am proud to serve the Sovereign". From February 3-5, the Grimaldi Forum hosted an international 3D Market for professionals called "Imagina 2010". HSH Prince Albert II visited, looking over the exhibits, talking to the people involved and trying things out for himself on February 4. The same day the Sovereign Prince also presented a film to the children of the St Charles school about his expedition to Antarctica. He even wore his special suit from the journey and brought some of his gear to show the students. Before departing he left a film about ecology; "Il faudrait qu'on devienne tous écolos (We all have to become ecologists)". 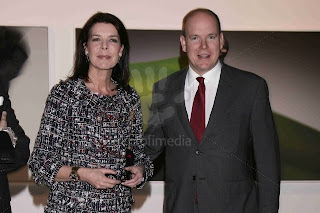 Also on the 4th Prince Albert and big sister Princess Caroline toured a special photograph exhibit, one of the first times the Princess of Hanover has been seen lately on 'Princely Family business'. 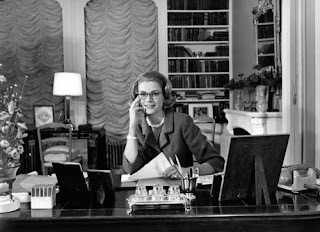 As expected, she looked like her usual glamorous self, displaying again how Princess Caroline always rises to the occasion in spite of adversity. King Louis XIII of France occupies a special place in Monegasque history. Louis was born on September 27, 1601 to King Henri IV and Queen Marie de Medici and became King of France and Navarre in 1610. At this time the Principality of Monaco was within the sphere of influence of the Kingdom of Spain. However, the Monegasque monarch, HSH Prince Honore II, was planning to change that situation in the biggest political turnaround in the history of Monaco. His aim was to take Monaco from the Spanish camp to the French camp. During the reign of King Louis XIII, thanks in large part to his cunning minister Cardinal Richelieu, the star of France was on the rise. This was a momentous time for such a decision as France and Spain were then on opposite sides of the Thirty Years War. Although usually generalized as a war between Catholics and Protestants things were not really that simple and Catholic France joined the Protestant side as a way to advance French power at the expense of their greatest continental rival the Catholic Hapsburgs of Austria. Louis XIII saw the French nobility brought into line with the Crown, rescinded the privileges of the Protestant Huguenots (though their freedom of religion was maintained), modernized the ports and put France on the road to becoming a major naval power again. He also was a great patron of the arts and expanded French influence in North America. The framework was being laid for the unsurpassed greatness France was to achieve during the future reign of the “Sun King” Louis XIV. 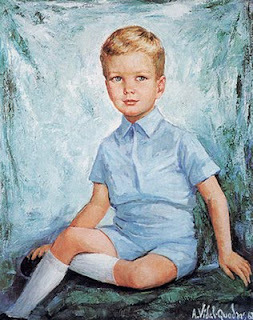 Prince Honore II of Monaco had already been going in a very French direction. 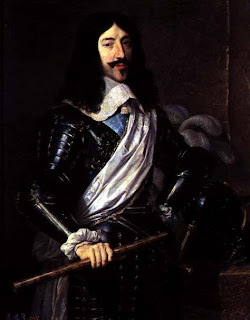 He redecorated the Princely castle, making it more of the palace we know today, favoring French styles and even wearing his hair in the fashion of Louis XIII. Everything had to be done in secret and Honore II succeeded so well in this that the Spanish never suspected a thing. On September 14, 1641 King Louis XIII signed the Treaty of Péronne which reestablished formal diplomatic relations between France and Monaco. Louis XIII wrote to Honore II saying, “I assure you that you will discover in me such sincere good will toward you and all your House that you will never come to regret the decision you made known to me”. King Louis XIII recognized the sovereignty of Monaco and agreed to be the protector of the principality. He promised to send a garrison of 500 French troops which he would pay for but who would answer to the Prince of Monaco who would also be party to all future treaties signed by France. To make up for the estates in Italy the Spanish had granted to the Prince of Monaco Louis XIII promised to pay an annual pension of 75,000 livres from three French fiefdoms; a duchy, a marquisate and a comté. This was the foundation of the special relationship between France and Monaco that has endured, with few interruptions, to this very day. Once Honore II pulled off his coup and subdued the Spanish garrison in Monaco he hurried to King Louis XIII who granted him several noble titles and decorated him with the Order of the Holy Spirit. As for King Louis XIII, he had some trouble producing an heir to the throne but when that day came he dedicated his kingdom to the Blessed Virgin Mary in thanks for her intercession. He died on May 14, 1643 leaving a stronger kingdom than the one he had inherited and with a foundation for further future greatness that would come during the long reign of his famous son.